Who are you calling Qt? 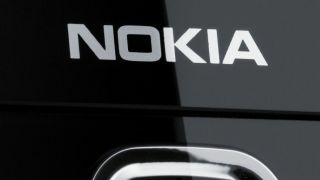 Finnish software firm Digia has confirmed it has acquired the Qt user interface framework from mobile manufacturer Nokia. The Qt framework was developed by Nokia to aid developers when creating apps for its Symbian platform, but with the demise of its previoulsy-owned software solution, the Lumia manufacturer is now focussing its efforts on Windows Phone. This has allowed Digia to add the Qt business, software technologies and 125 staff to the commercial licensing business it acquired from Nokia in March 2011. Tommi Laitinen, SVP, International Products at Digia said: "Now is a good time for everyone to revisit their perception of Qt. "Digia's targeted R&D investments will bring back focus on Qt's desktop and embedded platform support, while widening the support for mobile operating systems." Digia confirmed that it would look to expand Qt onto the Android, iOS and Windows Phone platforms as quickly as possible, which would increase the scope for the framework to the whole mobile market. Nokia meanwhile will be working hard on its first range of Windows Phone 8 handsets, expected to launch alongside Microsoft's Windows 8 operating system in October.